Our 1,000 foot boxes and reels of Cat 5e Bulk cable are available in every essential option. 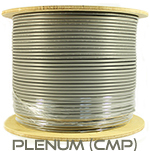 We offer Cat 5e Bulk cable in PVC and Plenum jacket types, in CMR/CMP/CM rated, in shielded STP and unshielded UTP, with solid or stranded conductors. 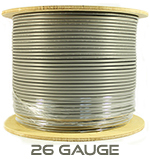 We also offer direct bury Cat 5e bulk cable. 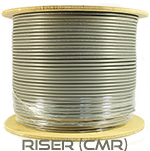 The line of ABA Bulk Cable provides sufficient headroom for most robust network applications, including gigabit Ethernet applications. 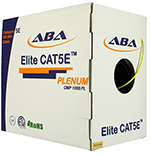 ABA Elite Bulk Cable products are among the best quality cables that money can buy and satisfaction is 100% Guaranteed. ABA Elite puts more emphasis on state of the art R&D than any other company. Don't forget your connectivity equipment! 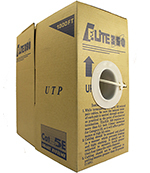 We offer Cat 5e modular plus in shielded and unshielded with boots, as well as keystone jacks, patch panels, and all the tools you need to get the job done right.